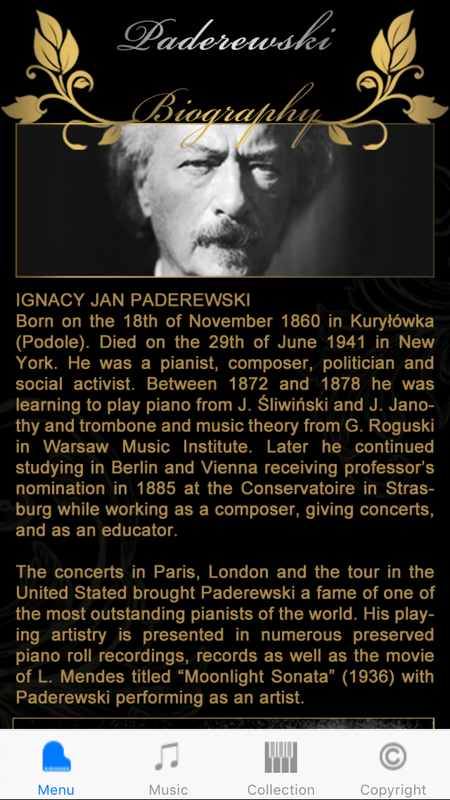 Our app includes compositions of Ignacy Jan Paderewski – one of the most outstanding and most important figures in the history of Poland. He was a composer, pianist, politician and statesman. The oldest of the preserved records of the pianist comes from the year 1905. The records, although a bit „cracking and humming”, perfectly correspond to the atmosphere of the times. 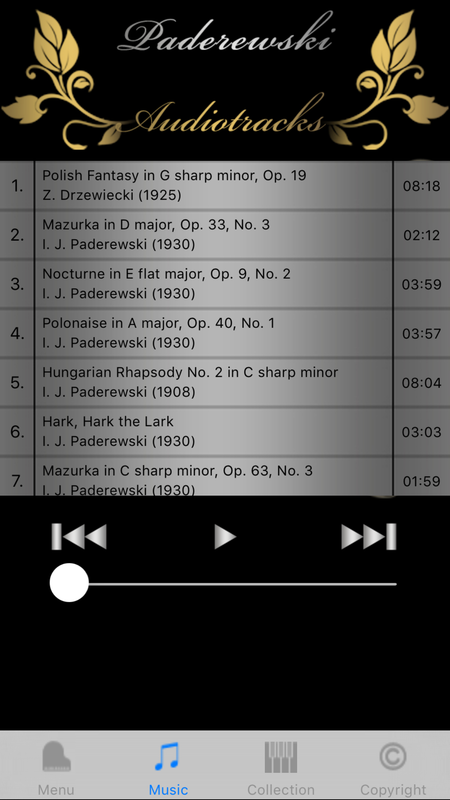 The App is dedicated to lovers of classical music, but not only. We hope that all sensitive to art will reach for this application.